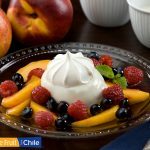 This Chilean fresh fruit pizza is a fun, colourful way to change up your dessert! It’s simple, healthy, and a treat for the eyes. 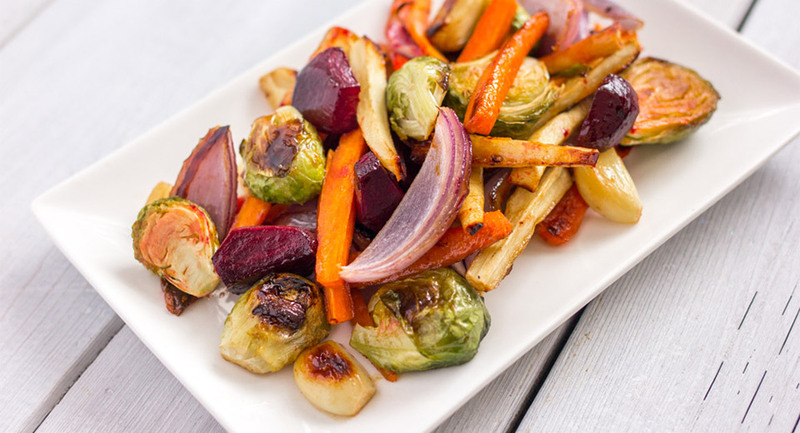 Kids also love to make their own food and with prepared fruit, this is an easy way to get kids involved and excited about healthy eating choices! Preheat oven to 350°F (180ºC). Sprinkle tortillas with sugar and cinnamon; place on baking sheet and bake until crisp, 10 to 12 minutes. Remove from oven. Spread with mascarpone, leaving a 1-inch border around edge. 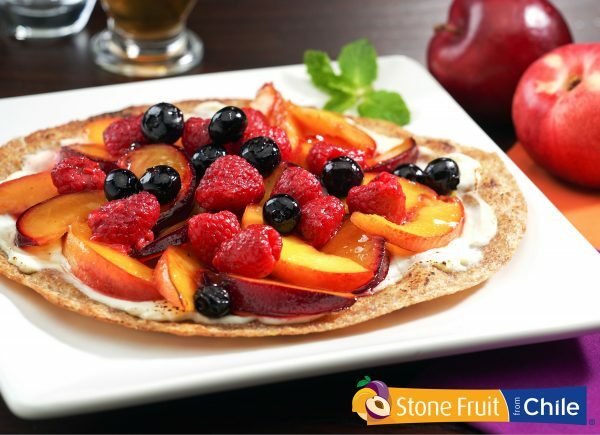 Arrange fruit on cheese. Brush with jam to create a glossy finish. To serve, with a large knife, cut pizzas into quarters; serve immediately. 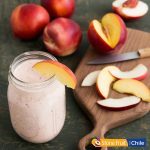 This recipe is kindly provided by our featured member, Fruits from Chile, from the Chilean Fresh Fruit Association.